Make Easy Spinach Artichoke Dip in minutes! 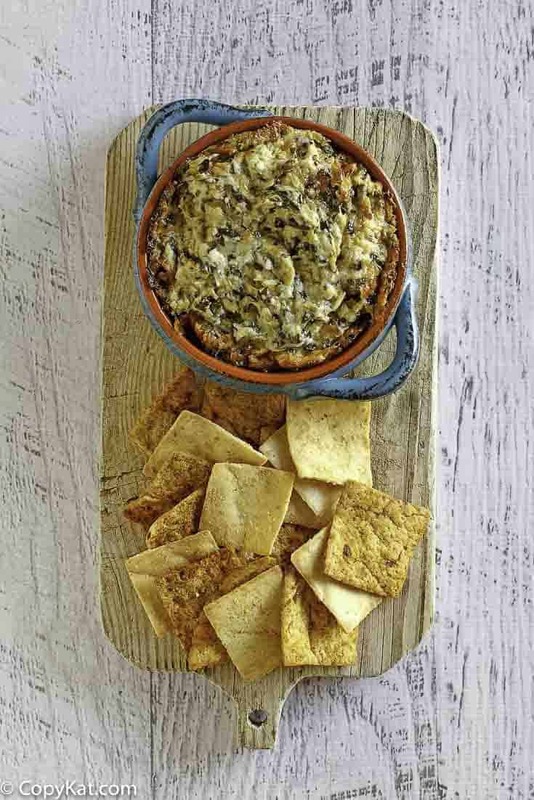 This is easy to make artichoke dip you can make with what’s in already in your pantry. You don’t need to buy spinach artichoke when it is so easy to make. 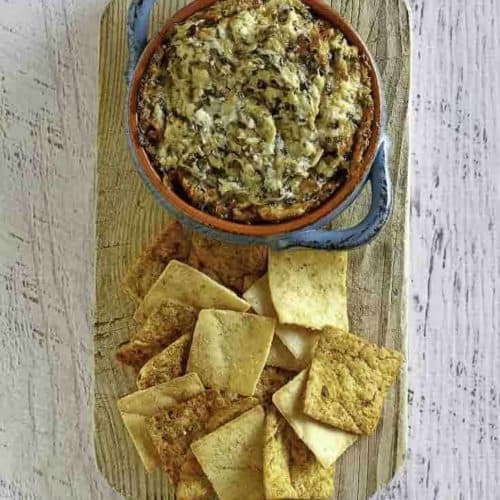 This spinach artichoke dip has just a few simple ingredients that you already have in your pantry. So easy to make, the artichoke dip is delicious. Place spinach in paper towels, and squeeze out as much water as possible. Blend artichokes in a blender until smooth. Add mayonnaise, Parmesan cheese, chopped spinach and garlic to artichoke mixture. Mix well. Warm in a 350-degree oven for 10 to 15 minutes, or until lightly browned. Made this dip for my bunco, it was good, So much better than what I usually buy from Kroger. Tasty, and almost as easy as my sister in law. I see green…I am assuming that is spinach…just not listed?? What is the dark green substance in the dip. I don’t see spinach or anything listed in the recipe ingredients. I am not sure what the fresh Parmesan is referencing. i would use Parmesan cheese that you actually grate just before using if you have it on hand.